Before I relocated to Mauritius, I wanted to have an idea about how much things cost so that I could plan my move better. However the information available on the Internet was not accurate and up to date. Now that I've been living here for nearly 2 years, I'm in a better position to talk about this. You've got a lot of choice when it comes to eating out but I'd advise not to eat off the streets for the first couple of weeks until you've built up your immune system, otherwise you may get diarrhea. Bottled water is recommended initially too. Local vegetables and fruits are very cheap but those which are imported cost a lot more. Based on a 3 bedroom house consumption. Please note there are no monthly bus passes available, you just pay as you go. Note that taxi meters are not used in Mauritius so you need to negotiate the fees for your journey before you step in the vehicle. There are also unlicenced taxis (taxi train/ taxi marrons) whereby the owner waits for the car to be full before driving. They may offer cheaper rates but they are uninsured and should be avoided where possible. Normally a taxi should charge you twice the costs incurred, not more. * Based on the rates at Mauritius Sports Council, the times may not be convenient though! Most activities are payable and there are only a few nature parks which are free. If there's anything else you need to know, please leave a comment. Yep internet prices are ridiculous in this country. Totally agree with peach! Mauritius is nothing but a place to rip their own people off as well as foreigners. Very disappointed with the high cost of living here, after having lived overseas for 5 years! As a British born, with both parents mauritian who came to London, I hate this culture, of if you go to mauritius and you buy something, let's say, pickled pineapple from the beach, the seller will charge you way over priced compared to a mauritian buying the same thing. Gices, like you listed, the rent price for "mauritians" and "non-mauritians", WTH!!!! 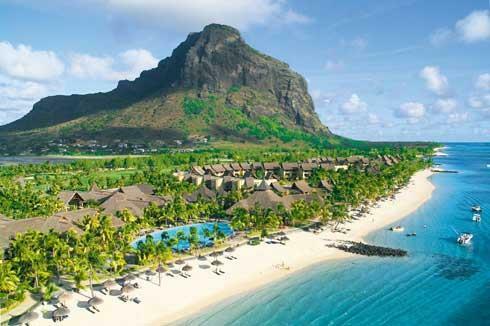 This put me off going to mauritius one day to retire or something! Really extortionate prices! I was talking to my friend about buying a BMW X6, in mauritius. Put it this way, you have to pay, Porsche money in order to buy a BMW!!! Sooo much more overpriced than BMW in the UK. What will be the cost of installation of solar cell?